Anna living room set takes traditional style to the next level of classic furniture creativity. 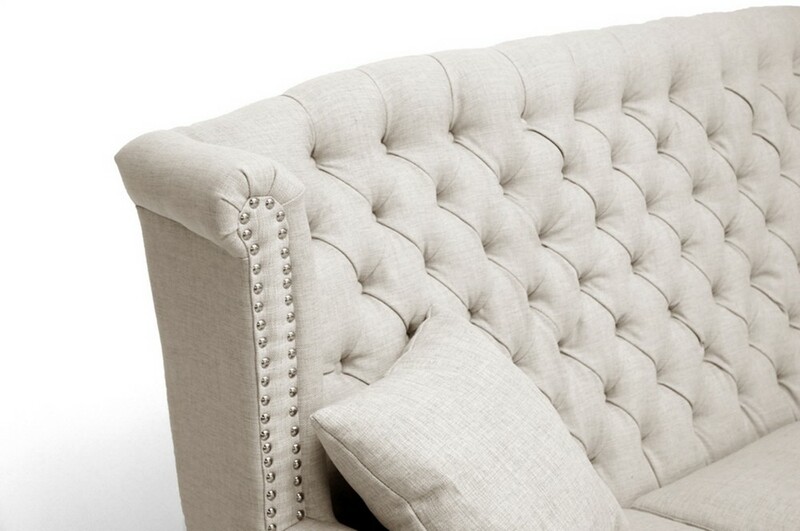 Sofa, loveseat and chair in light beige linen fabric and button tufted backs nail heads accented. Unique traditional comfortable seats with rolled arms completed by dark birch frame and legs.